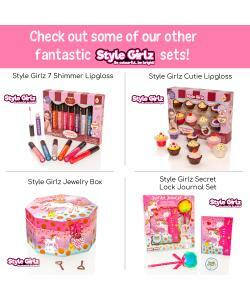 Give your nails a Unicorn makeover with this great kit by Style Girlz. 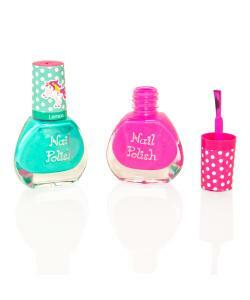 Safe for kids - the nail polishes are water-based, when dry it can be peeled off. 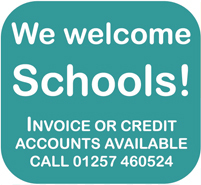 Safety tested to all EU and UK safety standards. Non toxic and easily washable. The perfect gift for a Unicorn fashionista! 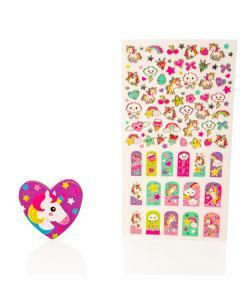 Nail sticker sheet includes loads of gorgeous Uniorn themed nail patches and stickers. 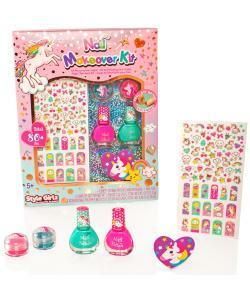 80 piece Unicorn Nail Kit to decorate your nails and create amazing designs. 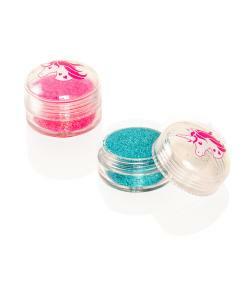 Amaze your family and friends, decorate with nail stickers, glitter polish and extra glitter. Ideal for parties or sleepovers.